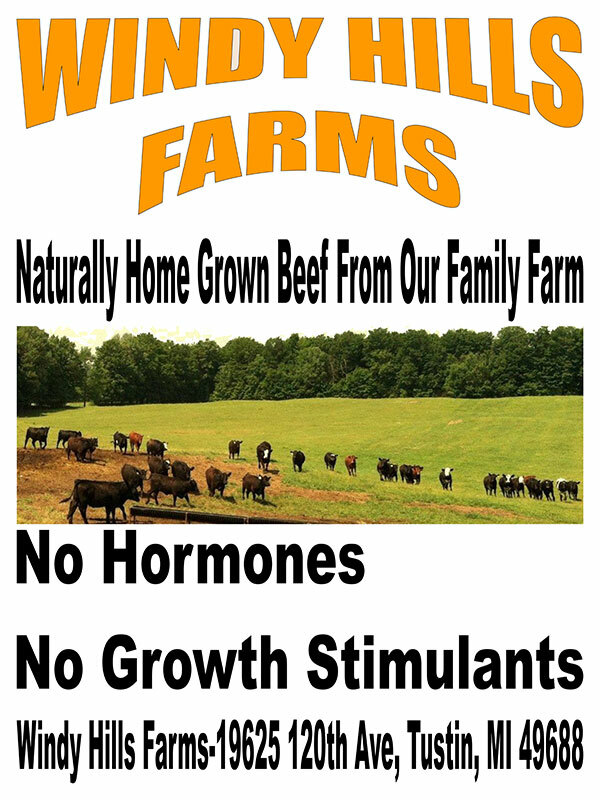 We offer an all-natural beef from Mesick Markets very own Windy Hills Farm. No hormones, no growth stimulants. Premium beef raised on grass and grain at our family owned farm in the windy hills of beautiful Tustin. Premium beef at an everyday low price you can afford. You will taste the difference. Stop by today to explore our meat department. From value priced specials to our exclusive Windy Hills Farm Natural Beef, we have an affordable selection to meet all your needs. If you like homemade jerky and snack sticks you'll love our great selection created in our very own smokehouse within Mesick Market. Homemade brats, hot dogs, ring bologna and sausage are also handmade fresh for you by our experienced staff. We are proud to belong to a co-op of grocery stores to help us provide meat items to you at low prices every day.